The Safari had been getting updates like a software would. The Storme was like a highly anticipated all-new version, but what we ended up getting was ideally the same functionality (albeit better) under a slightly revamped skin and user interface. Then came an update a few months back and the changed feature list comprised of a new Land Rover-inspired grille, optional LED daytime running lights and few nips and tucks to the cabin. Within months of that, Tata has rolled out another update for the Storme, this time making more significant changes under the hood. The new badge on the front fender that says 'Varicor 400', hinting at the new mechanicals. 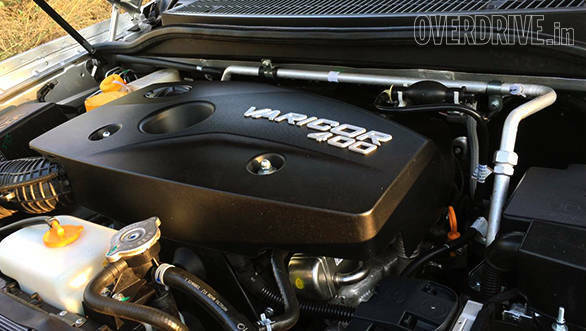 Varicor is the name for the familiar 2.2-litre common-rail diesel engine with a variable geometry turbocharger, that powers most of Tata's premium utility vehicles. The 400 indicates the 400Nm of torque output - 80Nm more than the regular Safari. The power is now uprated to 156PS, which is six extra horses over the older engine. Enabling the uprated output is a new engine tune and an all-new 6-speed manual transmission. Codnamed the G6450, the gearbox is designed in-house by Tata. Compared to the G76 5-speed manual gearbox that it will coexist with, the new unit is developed for engines with higher torque outputs, hinting that there are more powerful tunes/engines in the pipeline. The gearbox still has the rubbery feel to it and needs getting used to. The gear shifter has traded in its earlier chrome and gloss finish for a classier matte finish. The new package claims to pull the Storme from standstill to 100kmph in under 13s. The best we managed on our 4x4 tester was a 14.6s, which is 0.4s quicker than what we previously tested. But more than outright acceleration, it is the roll-on acceleration that sees a significant improvement. What it translates into is a meatier mid-range which is suited well for city, highway as well as off-road use. Since the 400Nm of twist is available from as low as 1,700rpm, the Storme can happily execute most of its urban duties in third gear. The self-adjusting clutch is marginally lighter than the older unit, further improving urban driveability. 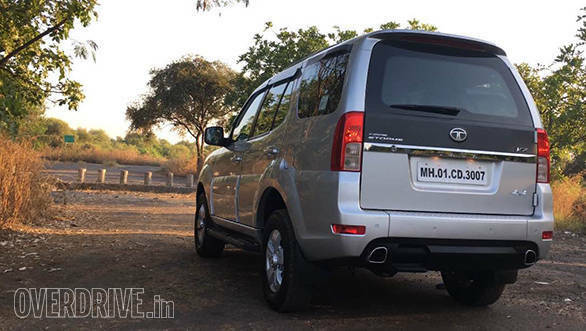 On the highway, the new package can help the SUV cruise at 100kmph in top gear at around 1,900rpm. The engine also feels a tad more refined now in terms of note and vibrations. There is no change to the overall noise insulation though. We saw a marginal improvement in fuel economy as well. Compared to the car we tested in May 2015, the overall fuel economy (in 2WD) has gone up from 14kmpl to 14.2kmpl. The claimed figure is 13.9kmpl. Finally, it's a welcome update. I would have ideally liked to see the new tune and last year's facelift being rolled out together as a package instead of splitting them into two separate updates within a short window of time. 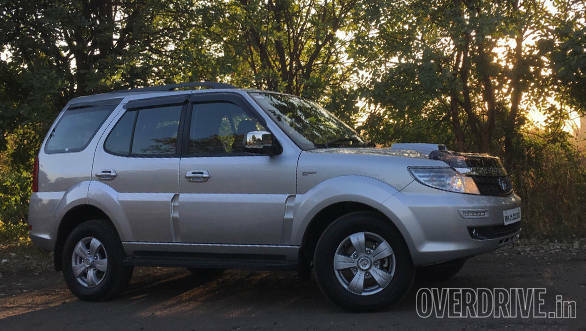 Nevertheless, the new Varicor 400 variants (only available in VX trim) will be sold alongside the regular 5-speed models and with less than Rs 20,000 separating the two, it's a no-brainer that the updated Safari Storme offers more value.